After my house was broken in last month I went into depression for some time because my laptop is gone! Not only I could not sleep well every night but now with the house is going through renovations (omg dust is everywhere!!) my stress level has shoot up. So I think a visit to the one of the Best Luxury Hotel Spa is something which I really need! St. Gregory which was opened since April 2008 is located in 6th floor of PARKROYAL Hotel in the golden triangle of Kuala Lumpur, well are located just next to Lot 10 shopping mall and few minutes walking distance from the Bukit Bintang KL monorail which is really convenient. 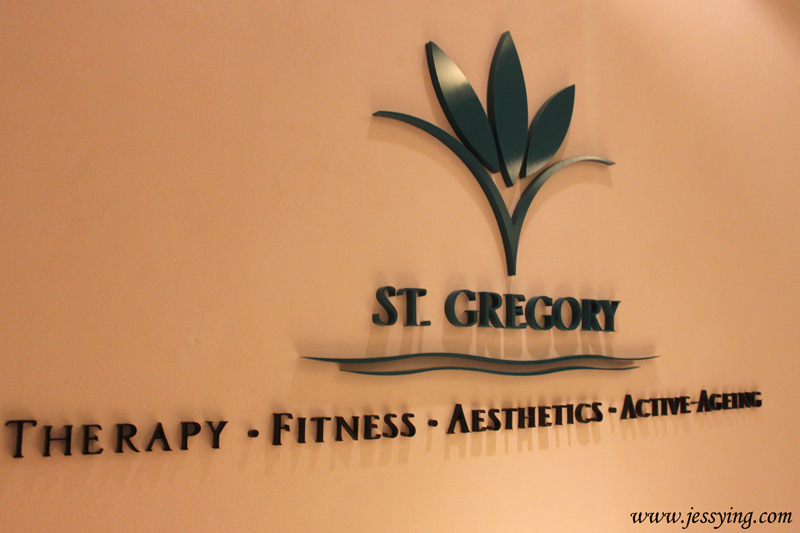 St. Gregory Established first in Singapore in 1997 and now they are also in Japan, China & Vietnam. 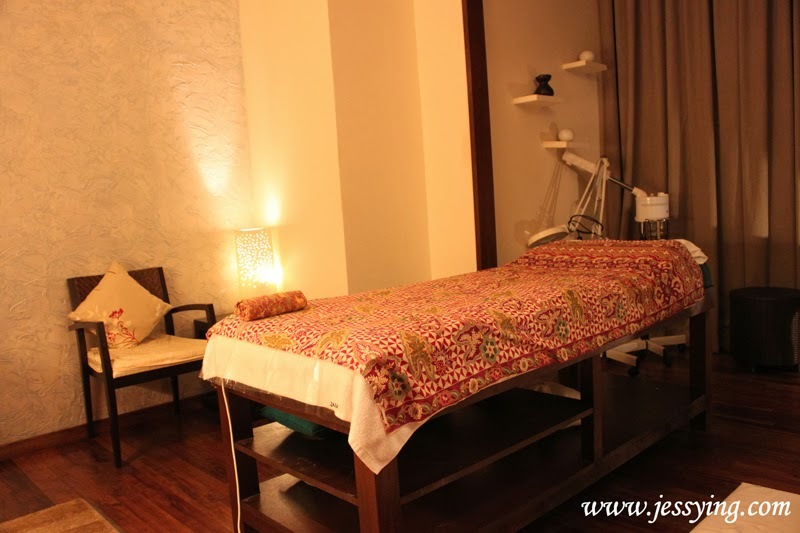 They offers specialised and traditional healing therapies ranging from Chinese Tui Na to Javanese massages and Ayurveda treatments, combined with advanced technologies and techniques from US and Europe. The reception areas for St.Gregory is not very huge or fancy; but it is cosy & away from the noise of the city even though it is located in Jln Bukit Bintang which is one of the busiest road in Malaysia! I saw that St. Gregory KL has bagged a number of awards and there is one I must mentioned which is they are the Country Winner (Malaysia) in the category of ‘Best Luxury Hotel Spa’ by the prestigious World Luxury Spa Awards 2013 for the third year running. Well I have to admit that I have high expectation of them when I see that they have been awarded like that! Once I arrived, I welcomed with a warm smile and greeted by name, first impression checked! After that I wasgiven a registration form to fill up & tea menu to select my choice of tea which consists of (Eight Treasure Tea, Ginger Tea, Chrysanthemum, Mint and Jasmine Tea) I was told I could either have it before or after the massage and since I was quite thirsty & tired after a long day running around to do works I asked for a cup of Chrysanthemum to quench my thirst before I went for the pampering session. My masseuse showed me the way to my pampering room and I realised is quite large and actually bigger than reception area...nice one! The bed comes with a heating pad function which I really like (I want to install this at home too!). I'm someone who cannot stand cold and shiver when I got to strip naked for the massage and sometimes with centralized air-condition system makes it worst. So this heating bed is really awesome and I don't feel like waking up once I sleep on it. Just before my masseuse started to work with her hands, she checked with me to make sure the air-condition temperature and music was okay for me. 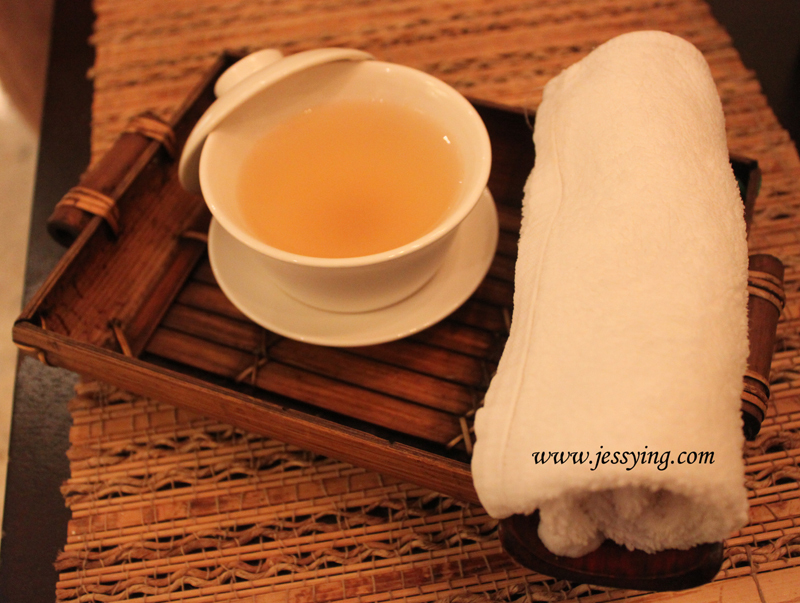 I opted for Aromatic Ginger Scrub and Aromatic Body Bliss Massage treatments. I am a big of ginger scent and this Aromatic Ginger Salt Body Scrub which consists a blend of ginger aroma oil + fine sea salt not only gently exfoliates my dead skin cell leaving my skin smooth & renewed for the massage session. The scent of ginger stimulates & rejuvenate my senses! While Aromatic Body Bliss Massage treatments consists of combination of Thai, Ayurvedic, Javanese, Swedish and Shiatsu massage techniques that will affects many of the body’s system including the lymphatic and venous circulation. The beauty of Aromatic Body Bliss Massage is that it works toward the heart, to aid the venous circulation. She used their special Peaceful Sleep oil blend which consists of Lavender, Orange, Sandalwood & Ylang Ylang which gives the benefit of promoting peaceful and relaxing sleep (helps insomnia). 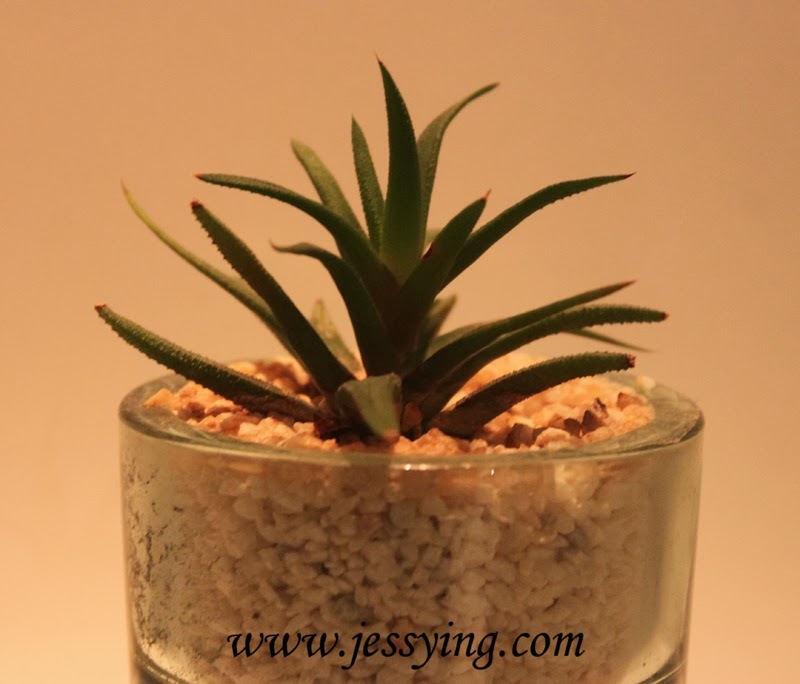 The oil blend scent is quite mild and it soothing & comforting! I like how my masseuse took the effort to ask whether her her hands massaging pressure was okay before she works her massage treatment from bottom to upward by first warming my feet before she works her way up to my lower limbs, buttocks, then towards the lower back moving to the mid and upper back, then sideways towards the flank and abdomen and finally moving to the chest , upper limbs, shoulder and neck. And I had a head massage as the last step, and that left me feeling energized and revitalized . Her hands pressure are firm but not strong and I can feel every stroke she made until I went to my dreamland. To be honest I am very picky with my massage and it's not easy for me to fall asleep during massage but here I actually went to my dreamland without me knowing it - I must be very tired and it's difficult not to felt asleep when the environment & massage pressure was just right! 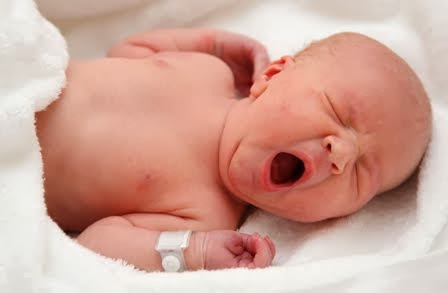 After 90 minutes of pampering session, I woke up like a new born baby! 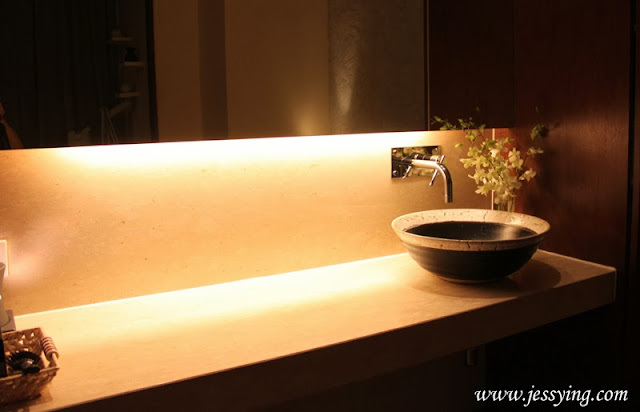 Besides basin, cupboard (to store our bags & clothes) , a big mirror and basket of essential beauty stuffs (such as cotton bud & comb), each treatment room also comes with an attached shower room which I appreciate because do not feel comfortable to walking out of the room to shower with my robe on. 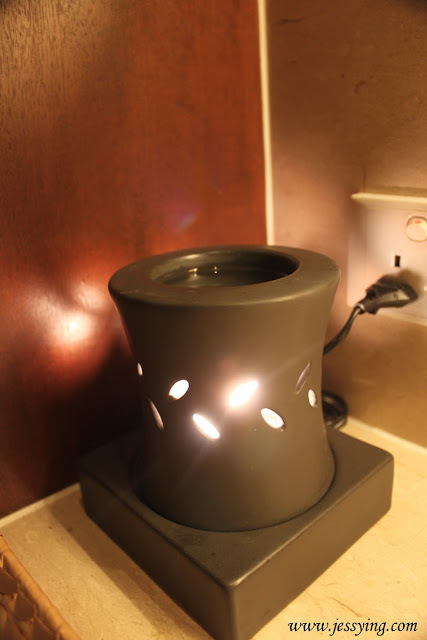 I love when my therapy room comes with a burner and masseuse picked lavender oil for me ...perfect for me as I was quite stress that day. 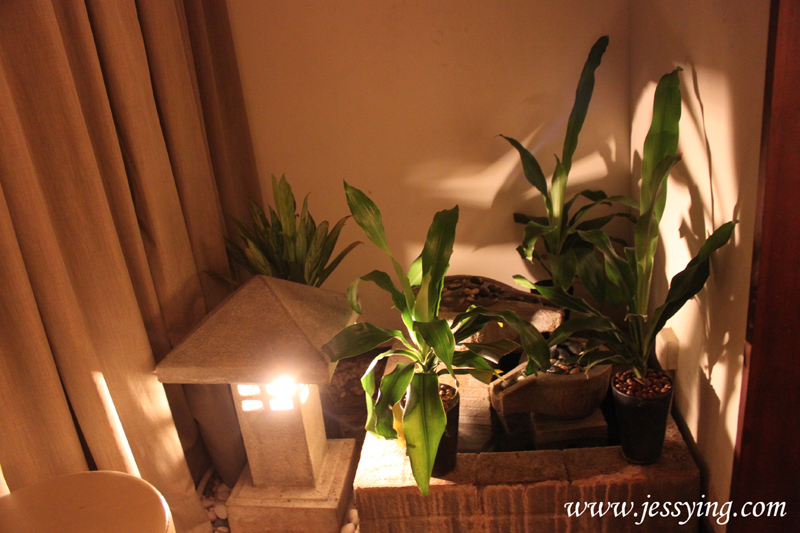 There is one thing I would like to highlight is that each room comes with water feature and the soothing sounds of the water relaxes me....transporting my mind to another world - a paradise. After I am done I picked ginger tea from the tea menu to be served on me. I love ginger tea because it has properties that helps to lower stress and tension. It is not difficult to understand why St. Gregory Kuala Lumpur is the award winner for the "Best Luxury Hotel Spa” Award (Malaysia) for 3 years running at the World Luxury Spa Awards 2013 because they pay attention to all the little details that a lot of did not take into account. Of course the masseuse's service is exceptionally good, very polite, attentive and she knows what she is doing. Though the price is on the high side but definitely it's worth the money paying for, knowing I would be well taken care the moment I stepped in the spa center. My experience does not stop here as the best is yet to come. 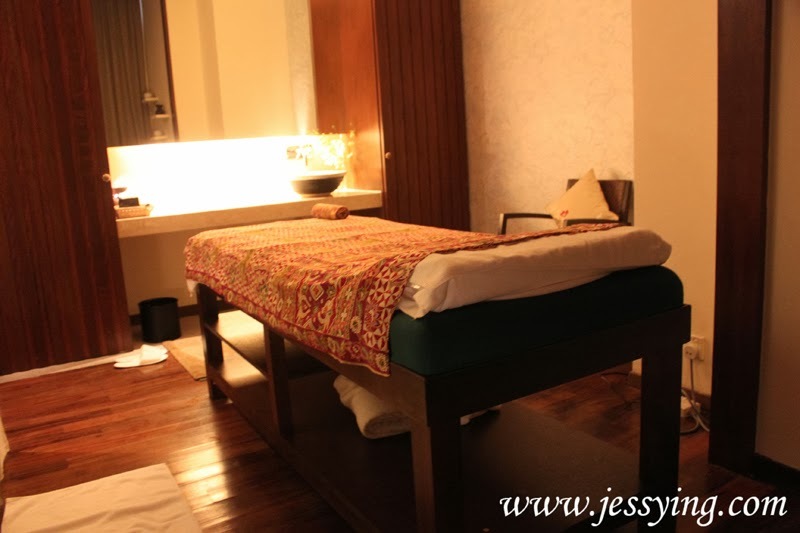 In the past, I think a good massage is about the comfortability during the massage session but now I realised that a good massage is about comfortability during massage session & the after effect that it gives. And that actually sets a difference. 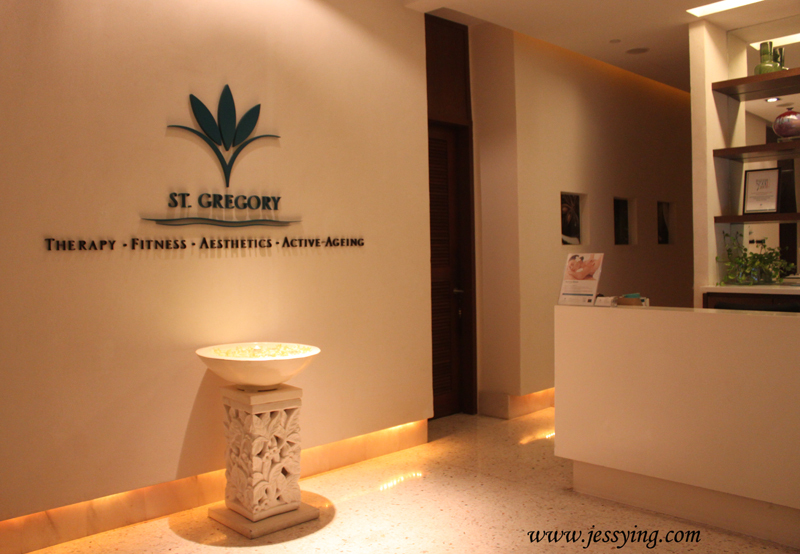 Honestly, I haven't been sleeping very well for very long time but that particular night after my Aromatic Body Bliss Massage at St. Gregory, PARKROYAL HOTEL..and the best part of my experience is that I slept so well that night and woke up the next day easily, feeling refresh and energized! 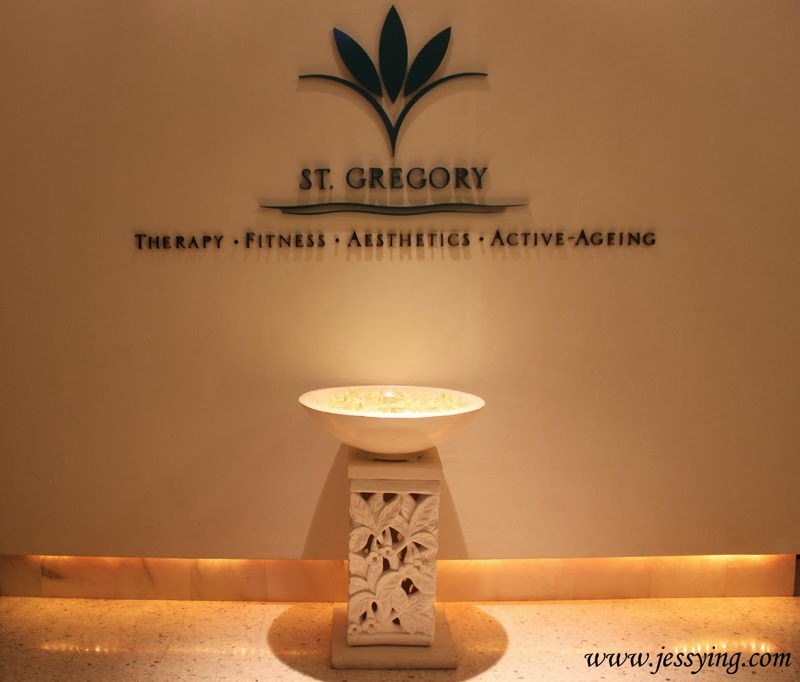 What clearly sets St. Gregory apart from the rest luxury spa center is that they are not just a spa center only but a wellness center that provides specialised & traditional healing therapies with an exceptional service level. 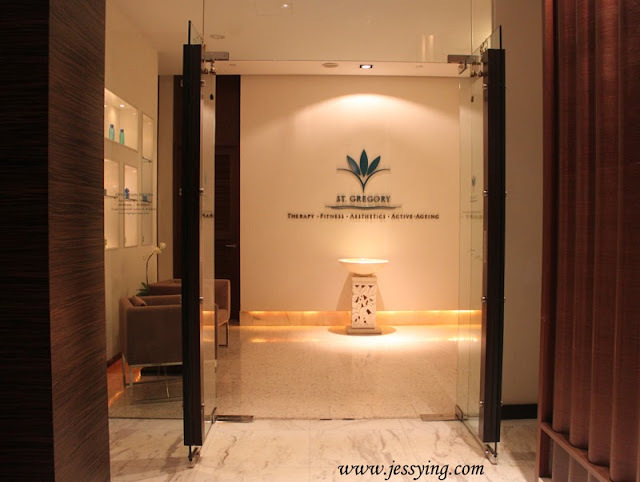 My 90 minutes of pampering session at St. Gregory which consists Aromatic Ginger Salt Body Scrub (NP : RM140/30mins) + Aromatic Body Bliss Massage (NP : RM280/60mins) now comes with a special promotion of RM280 (worth RM420) where the Aromatic Ginger Salt Body Scrub is a FREE service if you buy the Aromatic Body Bliss Massage! St. Gregory has a foot massage room and five treatment rooms where they do not only offer body treatment (using pure house blend essential oils) but also facial treatments using Thalgo products. And each comes with attached shower rooms. 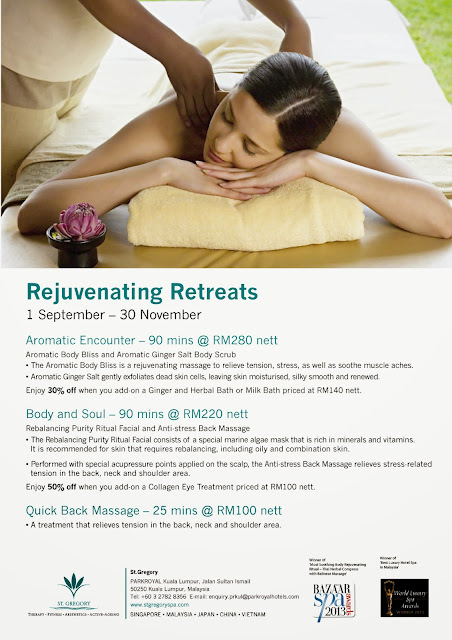 This is awesome, should go and try out the spa and massage there :) much needed to reward myself after all the work. Thanks Jessying for sharing this info.